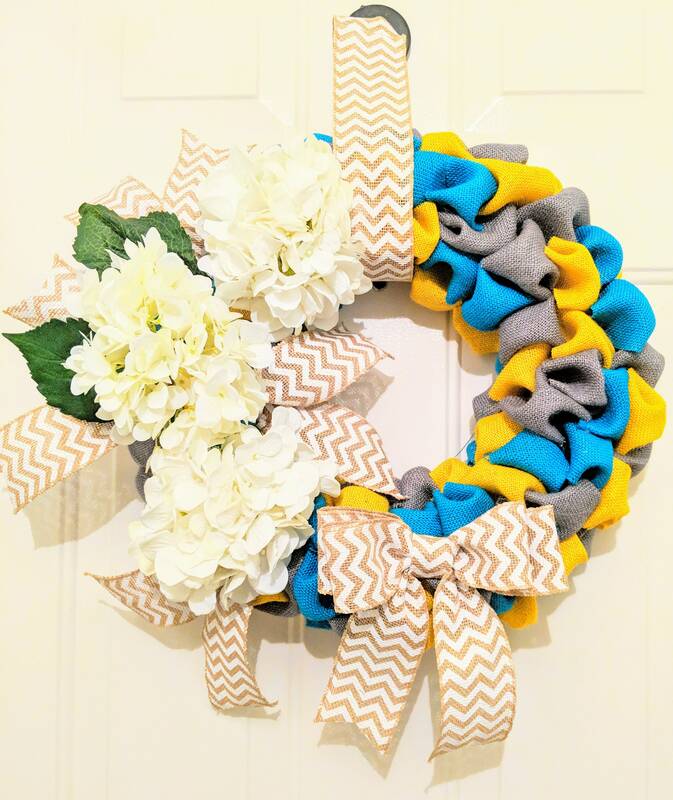 Already comes with a bow. 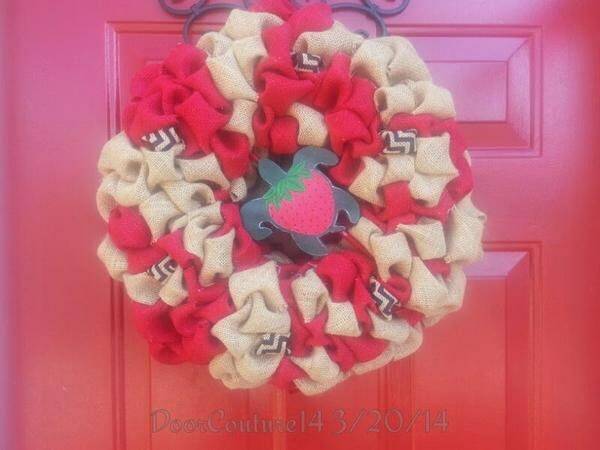 A coat of Scotchguard fabric protector is sprayed on your wreath. 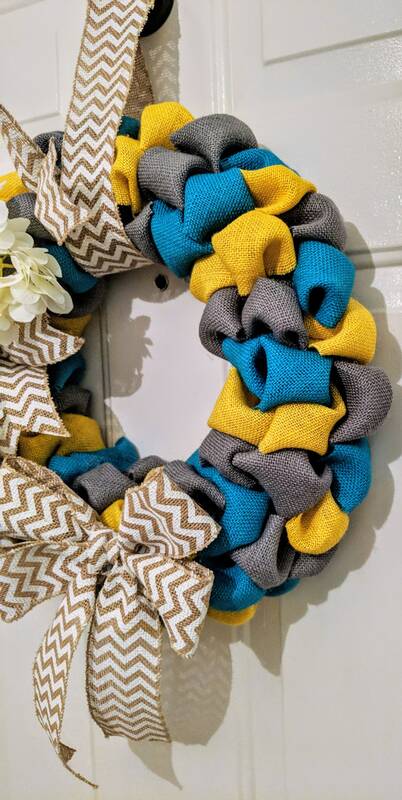 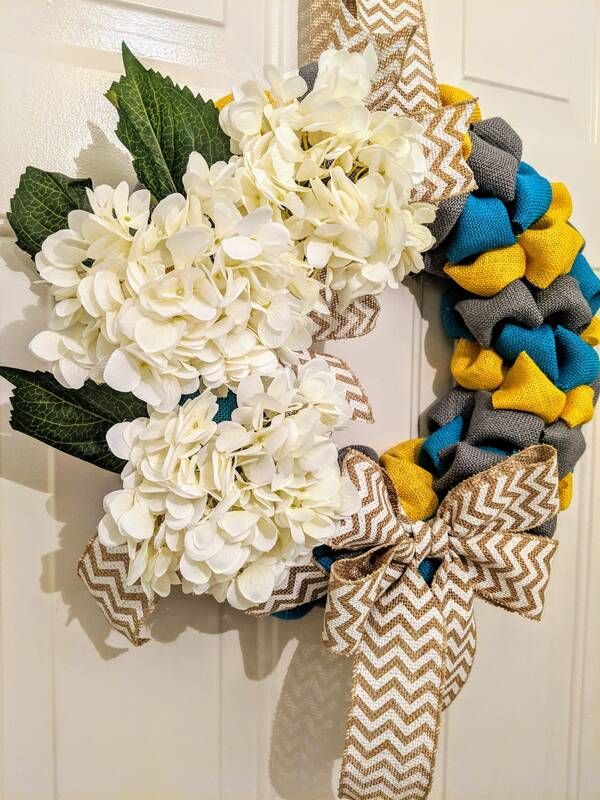 I highly recommend that you purchase a fabric protector or UV spray as well and apply it to your wreath every month or two. 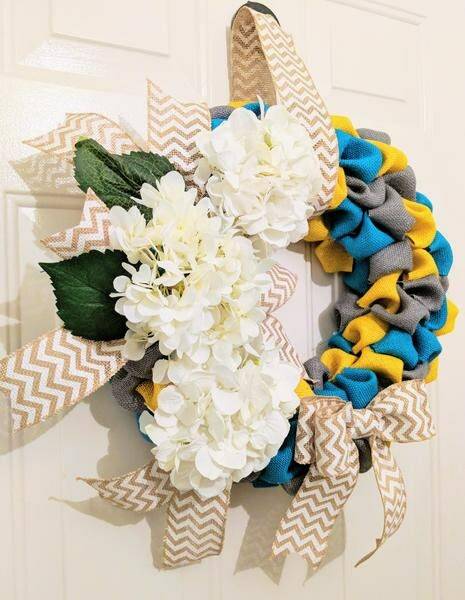 Please note, these wreaths are not intended for direct sunlight or direct weather elements. 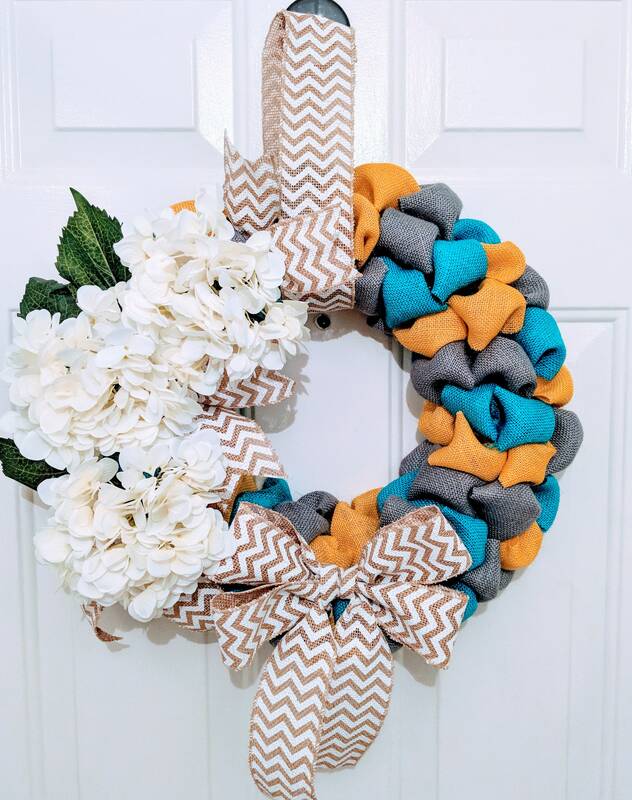 Each burlap puff has been securely attached to the styrofoam wreath frame (also wrapped in burlap) with a floral pin. 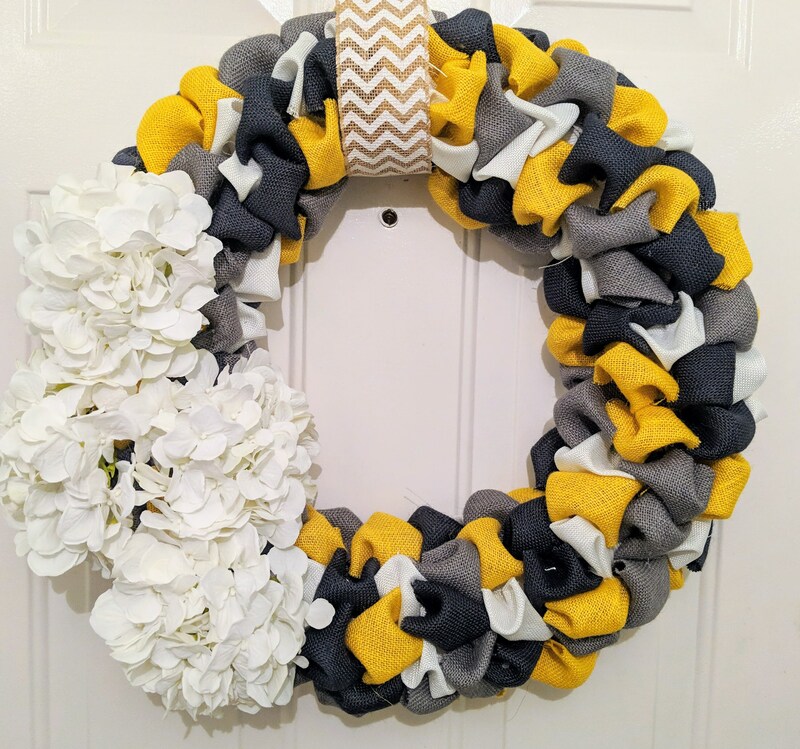 If you would like a different color variation for your wreath, please message me and I would love to create something special just for you!